Before I begin, I would like to thank you for all of your thoughts and prayers following my posting about the death of my Uncle Lou. Your kind words meant a lot to me and to his family. In the truest hunky fashion, you shared our sorrow and reassured us of his place in heaven. Many thanks for just being you and doing what comes naturally to the people of Duquesne. Before I begin my next post, I wanted to acknowledge David Belesky of East McKeesport who took the awesome photograph that I am using in the header of this site now. 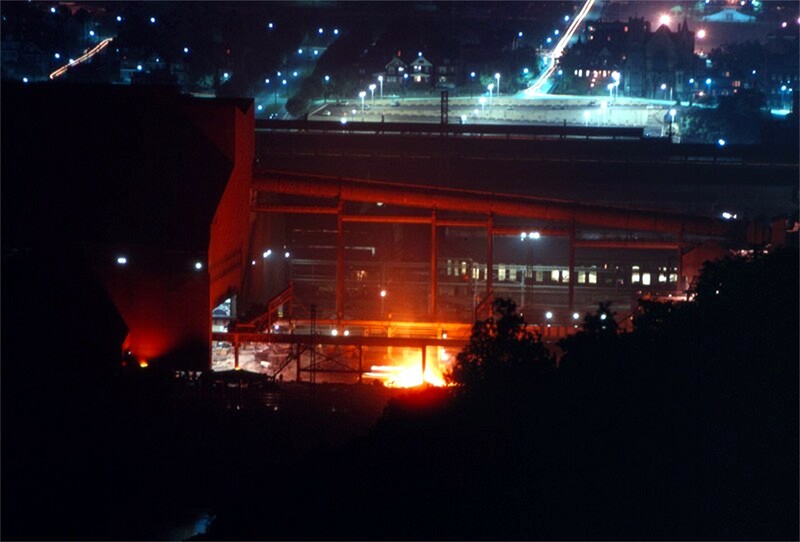 It was taken in 1970 from the East McKeesport vantage point. You can clearly see the Holy Name Church on 2nd Street with a beacon of light shining above it. David, thank you for sharing this with us and for reminding us of the hometown we had. I love reading all of the comments that you send in response to my posts. I’m amazed that this blog has reached out and found so many current and former Duquesnites! 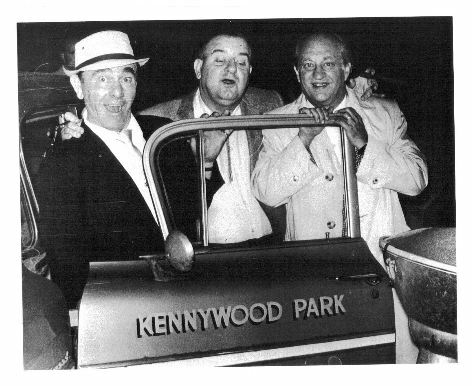 I was inspired by a comment posted by Bob Yuna, formally of Duquesne, that he had submitted in response to my post about the entertainers who appeared at Kennywood throughout the years. 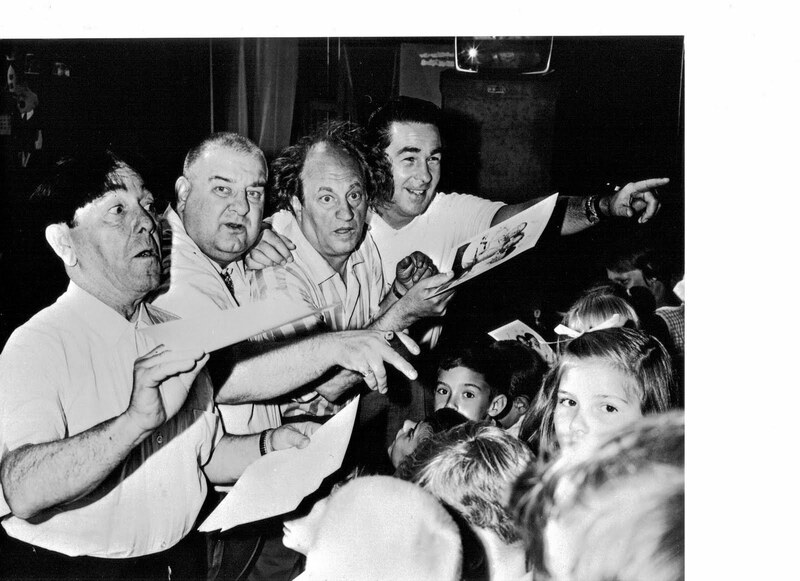 “When the 3 Stooges had their revival (thanks in large measure to Paul Shannon at WTAE-TV) they started getting a lot of gigs for stage shows and TV appearances from local shows, like Shannon’s “Adventure Time” from 1958 to 1975, as well as national TV shows. Moe was 62 and Larry an energetic 58 at the time. The period from the late 1940’s to the early 1960’s is referred to as the “Golden Age of Television.” It is during this period that culture and dramatic milestones were being broadcast. The commercial networks, NBC, CBS and ABC, were telecasting performances from Carnegie Hall featuring Leonard Burnstein and Arturo Toscanini. Playhouse 90 and Kraft Television Theatre featured performances such as Macbeth and Cyrano de Bergerac. I suppose that I should have felt fortunate to have had such outstanding and socially redeeming programming available to me. Truth be told, I just didn’t “get” all those serious, highbrow shows. I was the type of kid that enjoyed the “real” entertainment that was available to us. Who needed Burnstein when we had Rodney and Knish? Who in their right mind would have chosen Arturo Toscanini over Alice the Goon and Popeye? Certainly not I! • the first was a character named Nosmo King. I believe it was Paul Shannon who played this strange looking person. I just remember a man dressed in a long trench coat and hat, smoking a cigar and walking through various scenes. I don’t think that he ever spoke, just walked in and out of scenes. The event that I looked forward to each year since its inception in 1965 was WTAE Day in Kennywood. On that day, the park would be teeming with celebrities from WTAE-TV and even some Hollywood celebrities. I remember standing gawking at personalities from shows like Paul Shannon’s Adventure Time, Ricki & Copper with Ricki Wertz, and Romper Room. Myron Cope was in attendance along with Nick Perry from Bowling For Dollars. Hollywood was represented by The Three Stooges and by Hank Stohl, who by that year, had been in several TV shows like The Rifleman and Ironsides. At various times throughout the day, Kennywood had provided an autograph booth for the stars to meet their fans and sign autographs. I diligently waited in every line and was able to amass a complete collection of every personality who appeared on that first ever WTAE Day at Kennywood. I was so proud. However, here I sit, 46 years later and I couldn’t for the life of me, tell you what ever became of those collectables. 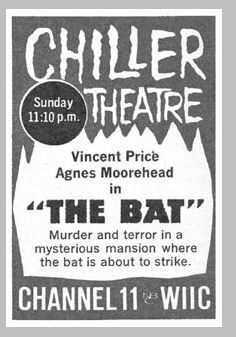 Chiller Theatre was a late-night horror and science fiction movie program on WIIC Channel 11, Pittsburgh, Pennsylvania. It aired from September 14, 1963 to January 1, 1984. It was hosted by Bill Cardille, known to fans as “Chilly Billy”. It was a Saturday night tradition for two generations of Pittsburghers. Two films were shown, one starting at 11:30 p.m. and the second starting at about 1:00 a.m. In between films, and at random times during the films, breaks were taken for skits such as reports from the “PSS”; in these skits, Bill Cardille would go into another part of the WIIC studios and pretend he was broadcasting from the (nonexistent) Pittsburgh Subway System. Other characters (portrayed by Cardille) included Captain Bad, Maurice the Matchmaker, and Mr. Magnificent. 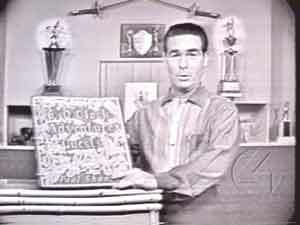 Cardille and WIIC publicist Robert Willis wrote the skits and sometimes Channel 11 staffers were enlisted to play bit parts. At the end of the show, Cardille would sit on a stool and banter with the studio crew. Chiller Theatre was so popular in Pittsburgh that it kept Saturday Night Live off of its NBC affiliate WIIC in Pittsburgh for four years. Finally giving in to pressure from NBC, Chiller Theater was forced to follow SNL at 1:00 a.m. where it was reduced to a single feature movie program. The show was remembered for several unique features, one being its theme song, “Experiment In Terror” performed by Al Caiola, written by Henry Mancini. The original set was meant to be a laboratory. It was changed to a castle motif when a cast of supporting characters was added in later years. That cast included Terminal Stare (Donna Rae), Georgette the Fudgemaker (Bonnie Barney), Norman (Norman Elder), and Stefan the Castle Prankster (Steve Luncinski). 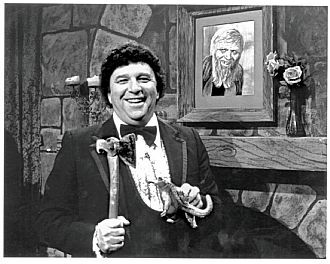 During breaks in the movie, Cardille would perform several sketches, like reciting horoscopes, trivia, and telling a series of corny jokes to a giggling skull. The show featured many guests over the years, including: Rod McKuen; Phyllis Diller as a monster Chilly Billy creates; Barbara Feldon as “Agent 99” from “Get Smart”; Lorne Greene; Albie And Friends performing their 1974 NIK single “Hexorcist World Premiere”; Vincent Price; Richard Campbell and Wayne Smith of the singing group The Gang, who performed “Frickased Chickens” and “All In Color For A Dime”; Jerry Lewis, promoting the Muscular Dystrophy telethon; and Bruno Sammartino. I realize that these shows and these recollections are not part of Duquesne itself. However, I feel that the shows, the personalities, and the events, were part of the very fabric of our lives as we were growing up. TV played a big part in my live during in the late 50’s and 60’s. I recall being summoned to St. Mary Immaculate’s 7th Grade classroom at Holy Name on Friday, November 22, 1963 around 1:45 to watch in silence as we all learned that our President had been assassinated. Television WAS part of our life. Certainly, we may not have been able to chat with Paul Shannon or any other celebrity at the corner of Grant Ave, and 2nd Street, but he was in most of the living rooms in Duquesne several times a week. This entry was posted in Life in General, Movies, Music, Radio and TV, Playing and Games. Bookmark the permalink. 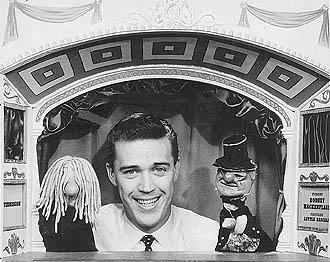 I wish they would show the old shows of The Paul Shannon Show and Chiller Theater. I remember on the Paul Shannon how they would put in this Rocket letters to Santa that kids would sent in. Knish was on around noon. I would walk home from school to eat my lunch and watch him, then go back to school. It took me some time to find this. I always remembered Rodney Nugent Hankenflash. But I couldn’t remember the show. And the rocket with letters for Santa.I believe a fire extinguisher was used on the set. This sure takes me back. That’s Rodney Nugernt Buster Hackenflash JR. Don’t forget the JR. He was very proud of that Jr. part! I wonder if Knish’s name wasn’t derived from “Caniche”…the French word for “poodle”? My grand daughters, Holly and Samantha, just asked me yesterday about the cartoons that I enjoyed when I was young. I was telling them about Rodney and Knish and many of the others you have listed, but last night I decided to see if there were any pictures that I could show them. That’s when I came upon your site!! What a treasure of information!! I have shared it with all of my family and friends and I’m sure you are providing a window to our childhood for many of them! I can’t wait to show my girls Hank Stohl with Rodney and Knish! I wish I still had the official fan club card that I had for Popeye! I sent away for it way back then but it’s lost in time now. We didn’t get a TV till I was fairly young but I still remember sitting around a radio for entertainment. My older sisters especially remember that….listening to programs like the Shadow, which I got to enjoy again in the 1970’s when they would play them around 7 pm on the ‘talk’ radio station I believe. I recall taking my sons to visit my sister Bunny in Squirrel Hill while listening to one of the programs. Just as we were about to go through the Squirrel Hill Tunnels and lose reception, the last minutes of the scary program was taking place so I pulled over to the side of the road right before the tunnels so we wouldn’t miss it! Thanks again for helping me remember my childhood! Just ran across this blog when I did a search this afternoon for the “Rodney & Knish” show on KDKA TV back in the 50’s. Although I’m not from Duquesne, I did grow up down in Waynesburg, PA about 50 miles south of Pittsburgh. I remember that everyday after school, after we’d ride the school bus out to the outskirts of Waynesburg to a little place named Sycamore, and we’d run home from the bus stop and even before we took our school clothes off, we’d flip on the black and white console TV and start watching the Little Rascals, then Paul Shannon’s Adventure Time show and the 3 Stooges shows. I was such a fan of the Little Rascals that my older sister Sandy gave me the nickname “Stymie” which stuck and I’m still known as “Stymie” to family and all my close friends, 50 years later. I never missed the Hank Stohl’s “Big Adventure” show with Rodney and Knish. We lived pretty far out in the sticks and in order to get any TV reception, my Dad had to run a set of TV wires across the road, out across the bottom and way far up the hill in order to get 2 or 3 TV channels, all broadcast from Pittsburgh, KDKA was always the strongest signal, so we watched it the most. To this day, when I go to parties and I don’t want to give my real name out, I have all my life identified myself as “Rodney Newcomb Buster Hackenflash Jr. the 3rd”. It never fails to get a laugh! In an earlier post by Lou Andriko, he claims that Rodney’s middle name was Nugent, but I remember it as Newcomb. Now, I’m not quite certain which one it really was. The 3 Stooges have always been my favorites, but Curly was most favored because we shared Oct.22 as our birthday. Didn’t discover that until many, many years later. I always had a strange affinity to Curly, now I know why. The 3 Stooges shorts are still my favorites even tho I’ve seen them all a thousand times. I have almost all of them on CD’s now. Hearing all these other people comment about the TV shows back then made me want to share some of my favorite memories of those days. I live in the Napa Valley of California. One other side note, Don Knotts, “Barney Fife” who was born and raised in Morgantown, WV, was my second cousin. Thanks for the memories! God Bless Everyone! Welcome to the gang “Stymie!” Can’t wait to hear more from you! I kind of remember a longer name, such as Rodney Nugent Buster Hackenflash? Anyone else?? Hey, Alan! Great minds think alike; that’s just exactly how I remember it, too. (I posted that earlier, somewhere.) That’s my story and I’m stickin’ to it. Funny how we can remember trivia like that, but if I don’t soon find my keys, I’ll be late for work. Nosmo King was Paul Shannon. He got his name from a sign backstage: No Smoking ! What memories. We were the first in the neighborhood with a color TV. My dad had won it in a raffle. We had a steady stream of “friends” come to see the NBC peacock in color. Perry Como was one of my dad’s favorites. There are many errors in the Stooges story. The Stooges were not yet in their 70’s when their revival period began in 1958. Moe was 62, and Larry 56. Also, they hadn’t been “retired” for years. Their short subject film contract ended in December, 1958, they hired Joe DeRita as the “third Stooge” in June, 1959,and they immediately embarked on a tour. Also incorrect is the statement that they “hadn’t done a stage show since 1925”. They did live stage performances all throughout the Curly and Shemp years, in addition to their filming work at Columbia…that’s where they made their “real money”. How do I know all this?….I regularly corresponded with Moe Howard from the late 1960’s until his death in 1975. Also, his son Paul Howard is a very good friend of mine. Thanks for the information. I have gone back and made the necessary corrections to the original post. Check it out if you wouldn’t mind and let me know if I’ve gotten it right. Tell Paul Howard that all of the hunkys from Duquesne, PA wish him well, AND, we all LOVED his dad!! I didn’t live in Duquesne but grew up in Bethel Park and Chartiers-Houston so I remember all these great things! Thank you for the wonderful trip back to my childhood. I still have my Ricki and Copper birthday button and it sits here on my desk, next to my Paul Shannon 6 O’Clock Adventure Club decoder button! I love Paul Shannon and watched Adventure Time daily during dinner when I was little. I had always wanted to have a Backyard Carnival but could never convince my grandmother, with whom we lived, to let us have kids come over in the yard — it could wreck her flowers. Your details about the rides and the petting zoo are glorious. Loved the 3 Stooges, and especially Kimba and Christmas time when Paul would send the letters by rocket to Santa at the North Pole! He was such a big celebrity for me when my Dad spotted him in the parking lot of Eastland Shopping Center, we got on the roof of our station wagon to try to see him just walk from his car to the store. Chiller Theatre was great, and I shared a room with my mother and was too scared to peek out from under the covers every Saturday night when she turned it on. Thank you kindly for a delightful romp! P.S. If you would like some of the WTAE Kennywood pics again, I have some and would be pleased to scan and send them to you. Another entertainer that I enjoyed was on KDKA radio in the AMs. Reg Cordic was just funny and his cast of characters all had their place in the show. My favorite was Omicron from Mars that called Regis, Re Cording. Omicron was also responsible for the Fort Pitt tunnels that he created with his space ship. Lastly there was “Old Frothingslosh”, the beer with the foam on the bottom. This product went nationwide with its own collectible bottles and paraphenalia. Gotta love our western PA talent! I loved this post! 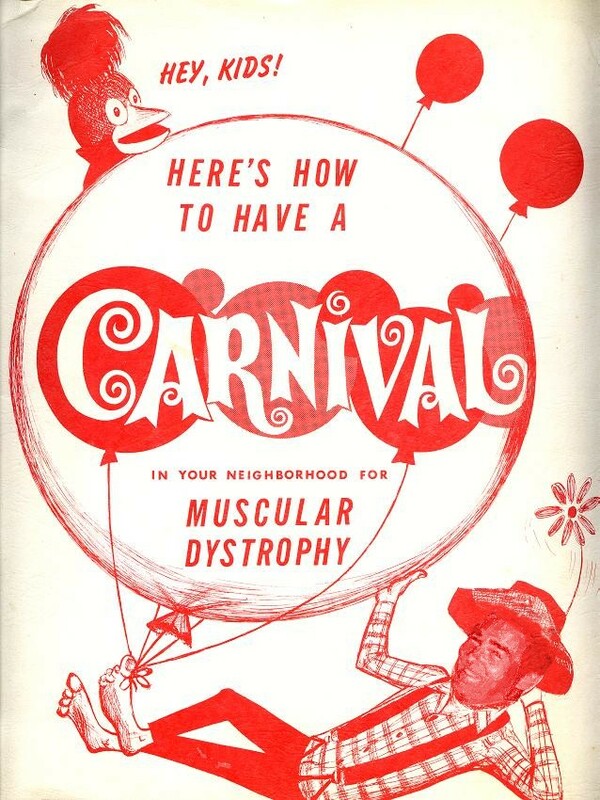 I had many backyard carnivals. My friends and I would wait for our carnival kit to come in the mail and thank God I had parents who encouraged and allowed us to have them. I lived at 113 North 2nd Street and sadly my house is no longer standing today. What great memories. We even got to be on the Paul Shannon show for having our carnival. Jim: Did you mention RICKY and COPPER? I remember watching her celebrate birthdays by handing out Hostess Cupcakes to children sitting on a log between cartoons. I entered a contest where I drew a picture of Copper. I won a giant box of crayons that came in the mail! Boy there wasn’t much to watch in those days. I saw my first colored television shows on Sunday night with Disney’s Wide World of Color followed by Bonanza at my friend Kathy Kirasic’s house. Her dad sold TVs. Sure did! I even have Ricki and Copper’s picture in the post for you to enjoy! Lou, I am impressed!!! Or maybe scared!?! LOL Why did you remember that?? Thanks for the input, just don’t YOU turn into that ol’ geezer! Too Late! Hit the big 6-0 yesterday…. and i prefer the term ‘curmudgeon’. I believe it was even longer, with a J. in there between Buster and Hackenflash. I loved the Saturday (?) show that featured Tarzan movies!! I thought Johnny Weismueller was so good looking and I loved animals (and hated it when he would have to kill a “bad” animal). I was crazy for Copper and long wanted dog just like her (I did end up with a reddish-colored dog who sorta resembled Copper – Brenda was my dog when I was home and my Grandpa’s dog when I was at school). My girlfriend would watch Chiller Theater with a pillow in her lap that she could raise when the scary parts came on – me, I just shut my eyes til the scary music stopped playing or the screaming stopped. 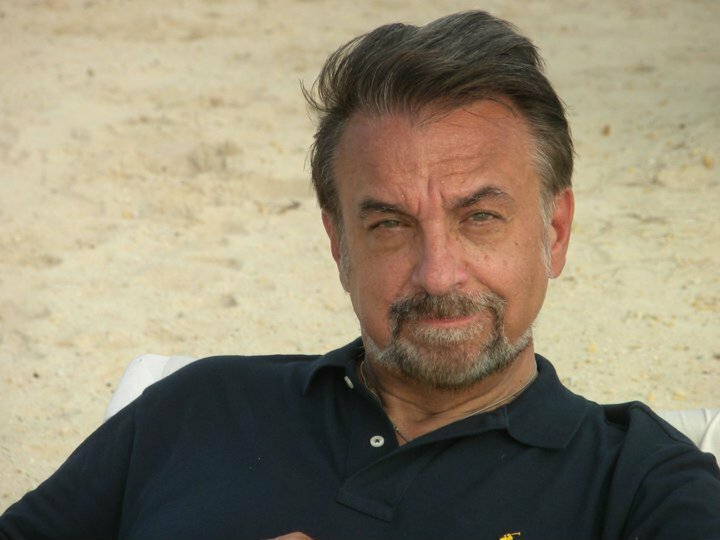 Regarding the last thing in your blog, I bet most of us stayed indoors that whole horrible time watching Walter Cronkite talk about what was going on. It seemed like the poor man never rested until after the State Funeral. We sat in the living room with the drapes drawn, watching in the dim light as American history was made and Camelot was gone for good. I don’t think I will ever forget John-John saluting as his father casket was driven past in the horse drawn carriage with the backwards-facing boots. I’m not sure, but I really don’t remember hearing many cars outside on Kennedy Avenue, not even Sunday morning when there was usually a big crowd going to Holy Name for Mass. Keep up the great work. Keeping memories of Duquesne’s former glory seems like a very fitting tribute to that grand old gal. Adventure time also had a live studio audience consisting of carnival holders, cub scouts and brownies. 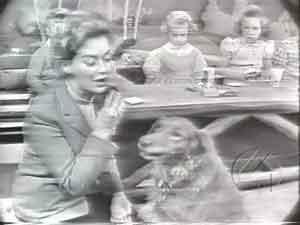 Channel 4 also had a morning kid show with Ricky Wirtz and her Irish setter dog. WQED had mr Rodgers Neighborhood. Joe Negri would sing songs on adventurtime and mr Rodgers show. Joe Negri is still going strong! Sue and I were at Heinz Hall last Thursday for our 32nd anniversary and Joe performed with the Pgh Symphony directed by Marvin Hamlish. Michael Feinstein did a Sinatra retrospective. Who says Duquesne Hunkies ain’t got no class, anat?